This back to school business is no joke! I wish I had more "me" time in the morning. We run all around the house getting ready, and I love any product that makes things just a little simpler for us! I was recently sent a Colgate Optic White Toothbrush with built in whitener for review, and I love it! 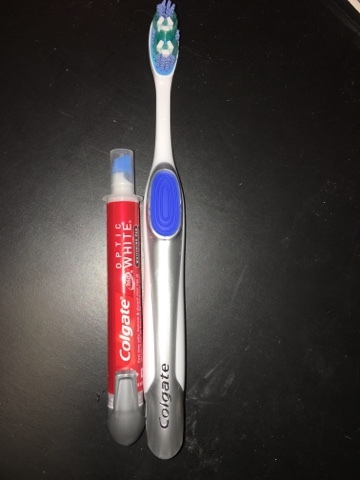 The toothbrush comes with a whitener pen, and it works like a charm. The toothbrush itself has a nice texture to it, and it really cleans my teeth with the different textures and shapes of the brush head. It even reaches between my teeth really well. The brush comes with a whitening pen, which I have found lasts about 1-2 months (depending on how often you use it). The thing about whitening pens is that I always forget about them. I BARELY have time in the morning to brush, but to remember to whiten as well? I almost always forget! 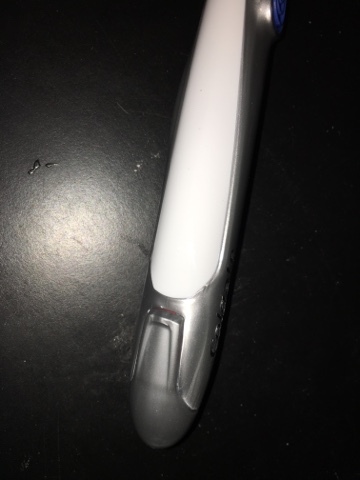 This brush takes the time and energy it takes to find the whitening pen by keeping it right in the bottom of the brush itself. You just slide it in. 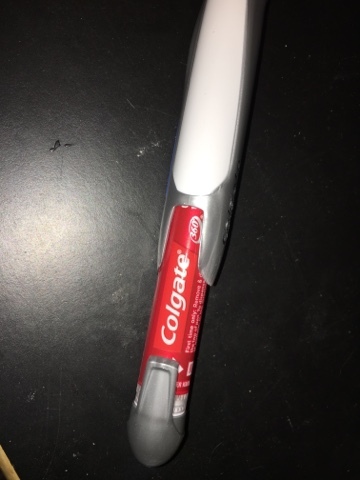 And then it creates the bottom of the toothbrush! How easy. 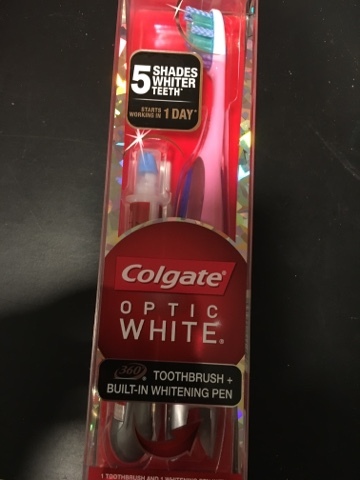 It does remind me to whiten each day, and my teeth are so thankful! 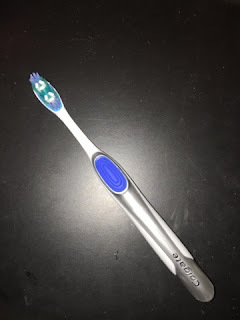 MamaBreak received a toothbrush to review here on the website. We did not receive any other type of compensation. As always, our experiences and opinions are our own. This post may contain affiliate links.